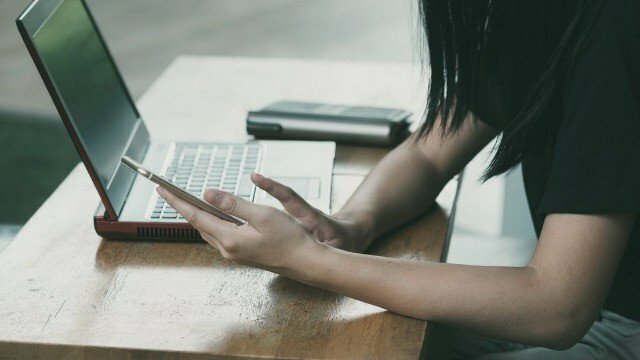 (SPOT.ph) Shopping online from U.S. retailers isn’t everyone’s cup of tea. Buying anything off the Internet might sound like a huge scam to some so they refuse to even give it a chance. But don’t worry, dear titas. We’re here to give you some tips and tricks on buying items from U.S. that will make you want to hit that “Add to cart” button, stat. Never use public WiFi when you’re planning to shop online. Plenty of hotspots aren’t exactly secure, and can be vulnerable to hackers. This means all your information might be compromised if you don’t make sure that your connection is safe. Use your personal Internet at home or your cellular data to keep your information protected at all times. Only shop from the brand’s official website. Never shop from websites that have no reviews. In fact, avoid shopping from websites that have bad feedbacks altogether. Make sure to ask for reviews from people who actually shopped from the website in question. Do your research before registering your name and providing your credit card details. Can’t find anything about the website you’re looking at? Drop it and move on to the next website. It's better to be safe than sorry. Look for discount coupons or promo codes. Once you’ve found a legitimate website you want to shop from, the next step is finding promo codes that will get you sweet discounts upon checkout. Again, do your research! Who doesn’t like cool deals and exciting offers? Using your credit card gives you an extra layer of security compared to using your debit card. For one, the seller doesn’t have access to the money that’s in your bank. And most of the time, if your credit card gets stolen or used by a stranger, you’re only responsible to pay up to a certain fee—usually not over U.S. $50. Take advantage of Shipping Cart. If you’re worried about sky-high shipping fees, or your package taking months to arrive, Shipping Cart is your online shopping best friend. Shipping Cart is an affordable and easy-to-use shipping service that lets you conveniently shop from U.S. online retailers. What it does is it allows you to ship your online store purchases to a free U.S. address. This minimizes shipping fees and simplifies your online shopping experience; and you’ll get your package delivered to your doorstep in as quick as 10 days. There’s no need to worry about hidden charges because Shipping Cart offers all-in rates that include your shipping fee to the Philippines, door-to-door delivery, and any taxes or duties. All this for as low as U.S. $12.99. Now there’s no stopping you from shopping from your favorite U.S. online stores. To know more about Shipping Cart, visit their website or Facebook page today.